The ultimate feel-good accessory with a powerful vibration. Its discreet design fits nicely in your makeup bag. Uses one AAA battery, not included. This display contains 12 Humm Dingers. 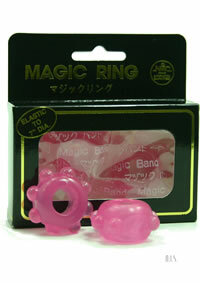 A Humm Dinger is a vibrating cockring and clitoral stimulator that has 20 minutes plus of continuous action! 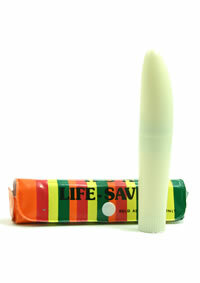 Batteries are included to provide powerful vibrating pulsating action for his and her immediate pleasure! There is an easy on-off rotating dial. The cockring is super stretchy so one size fits most. Warning: May cause screams of intense pleasure!